Welcome to Three Book Thursday! This blog feature is all about our favorite children’s books of the week, and celebrating those moments when we can say, ‘Yes, just one more book.’ See all the posts in the category here. And check out our other series about children’s book’s, Friday Favorites, here. It’s mid-June and we have plunged into summer reading at our local library. Ah, the smell of books and air conditioning mixed together…let’s pause for a moment of summer reading nostalgia. Okay, moving on. Our summer reading program is entirely online this year, which I call a major bummer. I printed out my own lists for my kids to fill out by hand from this website. They fill out their paper and I transfer it to the online junk. (Are you sensing some dissatisfaction with this system? Because I’m laying it on pretty thick). Anyway, my oldest has moved on from getting prizes for listening to books and now has to read the books to herself. This has started us on a search for some great easy readers. Because some of them? They are not so great. Here are some gems we’ve found so far. Our new favorite this Summer is the Nate the Great series. 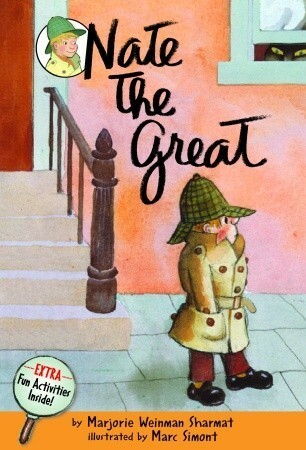 My husband told me I should get Nate the Great for my seven-year-old to read, and I said, “Who is Nate the Great?” Horrified look from my husband. And it was totally justified. How can I have not read these books before? I got the first one in the series that day, and he read the opening to Ella the next morning to get her hooked. We all laughed out loud. She took the book after breakfast and went straight to her favorite reading chair. Her younger brother followed her and they finished the book in fifteen minutes, laughing all the way. We’ve now read three Nate the Greats and I just checked a book about Olivia Sharp, Nate the Great’s cousin. My son loves for my daughter to read the Elephant and Piggy books to him by Mo Willems. They are all pretty funny, but the We Are in a Book is hilarious. Willems’s illustrations of each character’s expressions really make the book great. In this case, simple really is wonderful. There are only a few words on each page, so I would highly recommend these for easily discouraged readers. 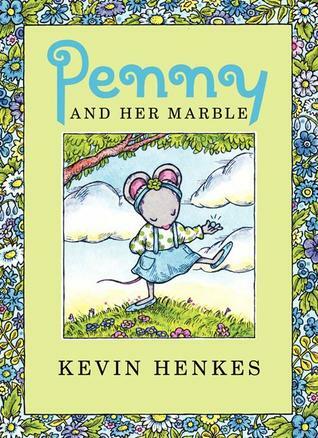 Penny and Her Marble and Penny and Her Doll are lovely easy readers. It’s amazing how Kevin Henkes can present situations in which his characters are experiencing some new emotion without overwhelming young readers. These books deal with stealing, guilt, love, waiting for inspiration, and probably some other issues I’m forgetting. The colors and illustrations are so soothing, too, which is nice for a change of pace sometimes. I like books that soothe my eyes. Those are just a few of the easy reader favorites we’re enjoying this summer. If you’re looking for more in this category, check out these posts.